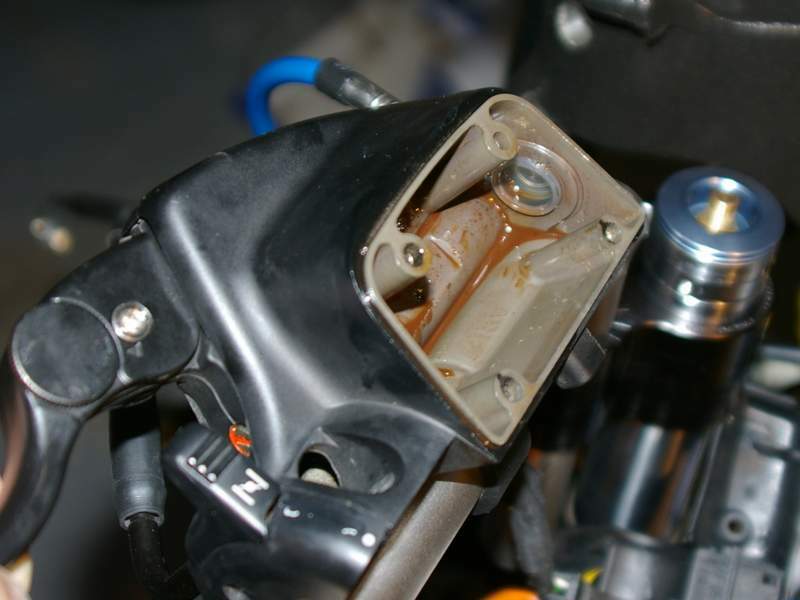 Pelican Parts Forums - Can we compile definitive clutch slave cylinder fix thread? 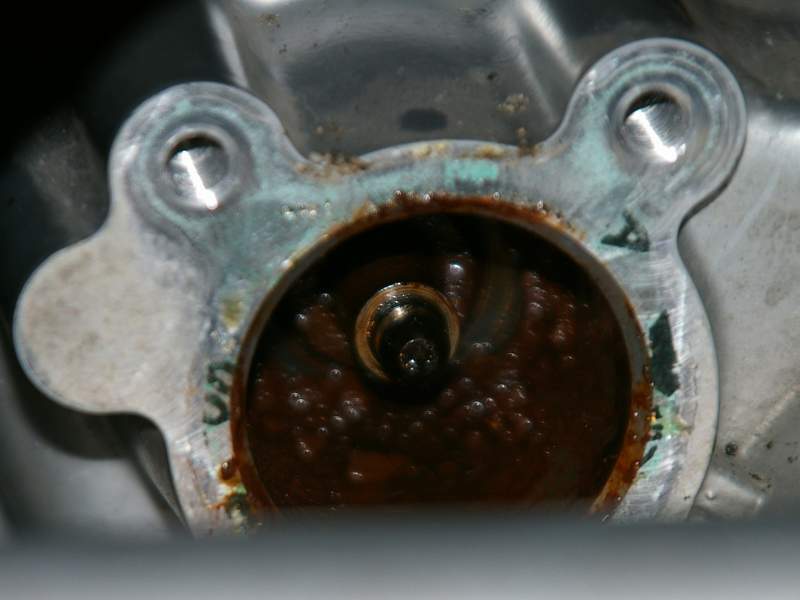 I'm hoping by starting this thread that those who've had the dreaded clutch slave cylinder failure can share their experience by linking to past posts, sharing photos taken, and detailing solutions, both tried-and-failed and tried-and-true. 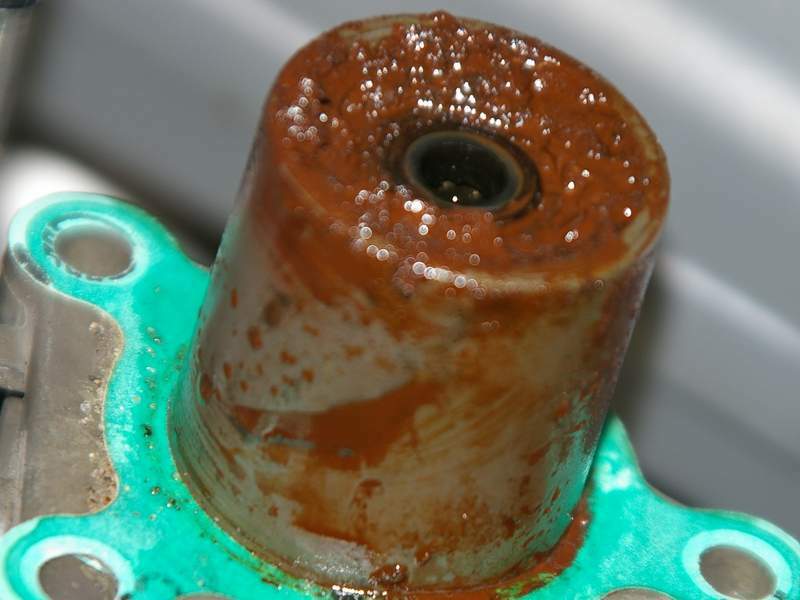 I myself have recently had a slave cylinder failure. My first indication was not a performance shortfall of the clutch (which others have had -- see http://forums.pelicanparts.com/bmw-r1100s-r1200s-tech-forum/291411-clutch-not-disengaging-advice.html), but upon changing the fluid, I noted the distinctive smell of 90W gear oil. While I only have a little over 7000 miles on my second-hand '03 (manf. in 09/02) BCR, the bike has been unridden for long periods of time. I am not sure at this point if that is a contributing factor or not. When you see something suspicious like this, the next step is to trace it to its source. In this case, that's the slave cylinder which is located underneath the air box, in front of the swing arm / shock. Fortunately, you do not have to unbolt the rear subframe as the service manual indicates. You *only* have to remove the rear wheel and remove the rear shock. Be sure to support the Paralever. With the removal of three allen bolts, the slave cylinder comes out by tiltling it up at the rear to clear the "cross beam." See page two of "jweicht's" thread http://forums.pelicanparts.com/showthread.php?t=291411 for pics or below for how mine looked (not good). Repoe3, note I too am in the VA-DC area. Want to come over this weekend and help me tear apart a motorcycle? :) I've got a Giant just down the street that I'm certain must stock your favorite beer. I joke ... with your post, I think I'll be good to go!